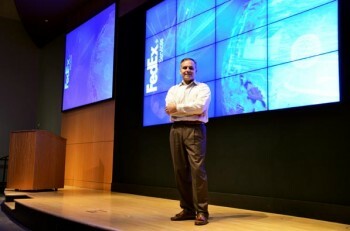 Expect great things When Michael Rodriguez-Chapman joined FedEx in 1989, the company was developing a reputation of “making the impossible possible.” Naturally, the same was expected of Rodriguez-Chapman. You don’t get to be one of the world’s largest delivery-service companies by sitting in only one place, doing only one thing, or speaking only one language. At FedEx, which has a labor force of 300,000 and handles more than nine million packages per day, this is an ethic that is symbiotically bolstered and informed by the people working behind the scenes—people like Michael Rodriguez-Chapman, director of information security, protection and assurance—to ensure the confidentiality, integrity, and availability of FedEx’s data and systems on a global basis. And Rodriguez-Chapman should know—in his 24 years with FedEx, his work has taken him to literally every corner of the planet: Brazil, Mexico, France, South Africa, UAE, India, and Singapore, to name a few. Travel is not only a regular part of Rodriguez-Chapman’s career, it has been a long-standing tendency that reaches all the way back to his youth. Respect culture, because people take it personally. When you find yourself in a different country, take time to explore and learn about the people. After all, business is done with people. Don’t be afraid of ambiguity. If you learn to embrace it, it can be your best friend. I’ve made a career out of something that others fear way too much. “My father was in the military, so the family moved every two to three years—I was conceived in France, born in the United States, and started elementary school in Okinawa, Japan,” Rodriguez-Chapman explains, noting that just as he learned to count to 10 in Japanese, the family moved again—this time to the Panama Canal area. “My brothers and I loved living near the Panama Canal. As a kid, everything needed to be explored, and there was so much to explore there. Upon completion of his assignment in Paris, Rodriguez-Chapman was asked to extend his stay in Europe with a new assignment in Milan, and then another in Brussels. Two years after taking what was originally planned as a six-month assignment in Europe, he returned to the United States, working at the FedEx headquarters in Memphis, Tennessee, where he was part of the international marketing team. Though he was back at the corporate headquarters, he continued to pioneer many new endeavors for FedEx. To do business on an international level, Rodriguez-Chapman advises to learn how to thrive in ambiguities. “If you are uncomfortable with ambiguity, you might find the associated international travel very painful,” he says. 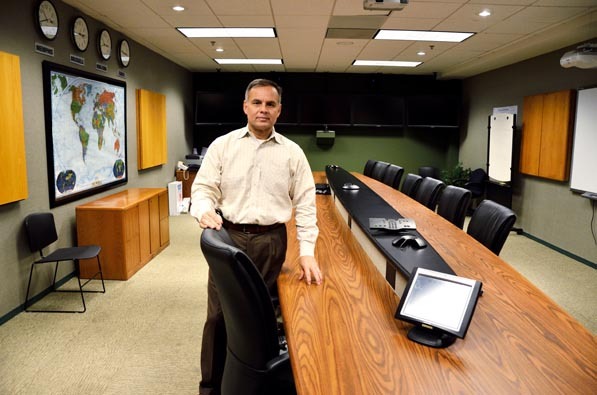 In his time with FedEx, Rodriguez-Chapman’s work has earned him the coveted Chairman’s Quality and 5-Star awards—some of the highest honors given by FedEx to its employees. When asked what’s next in his career, Rodriguez-Chapman responds vaguely. After all, ambiguity is his niche.